When have you ever been in a snow-white room, have you felt comfortable or, on the contrary, were timid and afraid to relax? 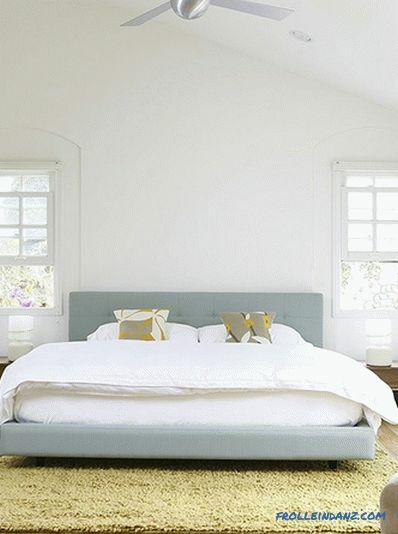 White is one of those colors that many homeowners avoid, as they fear that the room will not look cozy and welcoming. 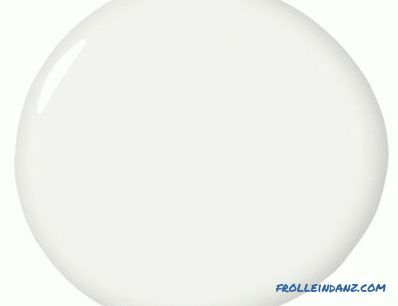 In fact, white is the most refreshing color. It makes the home clean and tidy and brings a touch of sophistication to the interior. But the same white paint, which makes one room seem magical, will make another frighteningly cold. Like all other colors, white has its own temperature, mood, style. If you ignore this, your seemingly fresh, invigorating white paint can make the space completely "turn off." But do not worry. Often all that is required is just a small addition of another color to warm or soften the white. So, the topic of today's conversation is the white color in the interior. We will lose sight of all the subtleties and nuances of its use, share with you tips on how to achieve the effect you need when decorating a room with exclusively white color, and demonstrate real examples of white interiors. 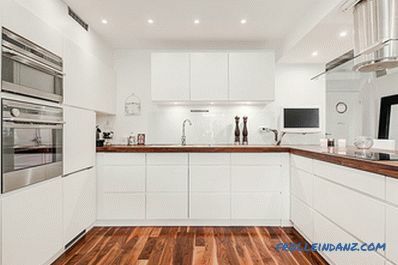 You will be surprised at how harmonious white color can be in the interior of your house or apartment. Do not be afraid of white! Look at white as a kind of beginning, allowing you to do everything that you want, and go wherever creative potential leads you! Do you have an enchanting view of the ocean, forest, mountains or city from your window? White is a canvas that can be used as a backdrop for great perspectives. There is no better way to bring a fresh start to the interior of the house than to paint its walls white. This clean slate strategy is often used immediately after buying a new home. 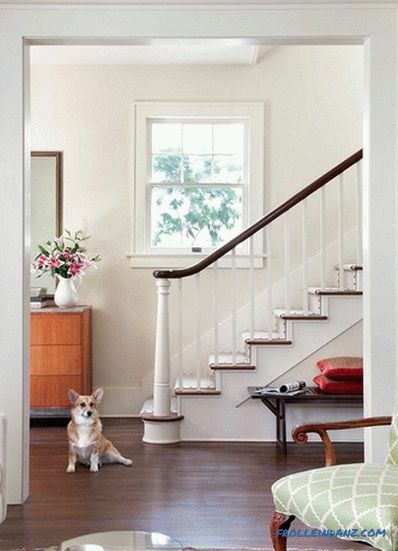 Before you paint a room white, determine its orientation relative to the cardinal points. The rooms, which are facing away from the midday sun, acquire a gray-blue tint that is great for a summer bedroom, gym or studio. 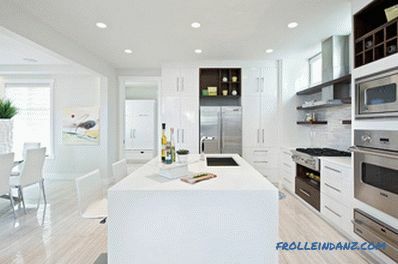 White paint optimizes light in these spaces, while making rooms cool. 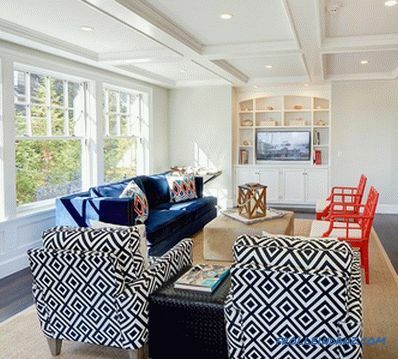 The same white color, however, will work quite differently in the living room of a house somewhere in New England. 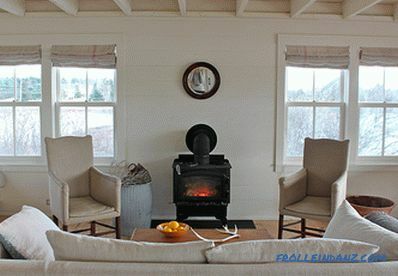 The visual connection of white with snow and ice outside the windows will create negative associations, even scare. Here it is worth trying to diversify the white color with red, yellow or orange inclusions. 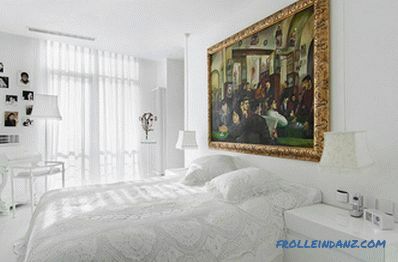 Rooms in which sunlight does not fall during the day are good candidates for being painted in warm shades of white. Colored pigments reproduce the thermal range of sunlight, as a result of which people present in this room have an increased level of activity and improved mood. Neurophysiologists, using magnetic resonance imaging, confirmed the physiological effects of color. Each of us can confirm the fact that warm colors make us feel warm. The artists are well aware of this, and they do not just know it, but have been successfully and successfully used for a long time in practice. Rooms facing the south (this is the northern hemisphere, in the southern one everything is exactly the opposite), the most insolation. Both in winter and summer, that part of your house that faces the sun, on a clear day, will acquire red and yellow shades. White walls are an excellent choice for cooling these spaces, and the paint color can be adjusted for the brightness of the lighting. For example, gray softens the reflective qualities of white and helps to “calm” the space, which has large windows that fill the living room with sunlight. Of course, one color option cannot satisfy all daily or seasonal variations in illumination. But at certain times of the day and at certain times of the year your room will look most attractive. 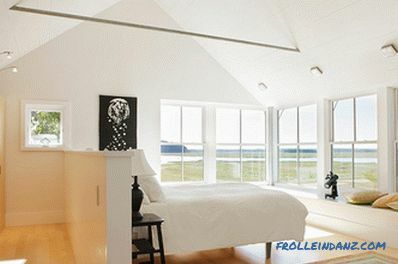 Use wall color to enhance or attenuate natural light. The Benjamin Moore Off-White Collection, consisting of 140 white flowers, is organized by shades and can help you choose a cool (with a blue, gray or green tint) or warm (with a red, orange or yellow tint) white color. Other brands of different shades of white are also quite a few, so we recommend that you check with the color fan every time to see the basic shade for each option. Take a look outside the window and decide if the foliage that prevents the passage of light helps, or vice versa your perception of the interior.For example, a tree outside the kitchen or living room window located on the south side of the house will condition the house year-round, holding back most of the sunlight in the winter and creating a shadow in the summer. If you wish, you can make a "dirty white." 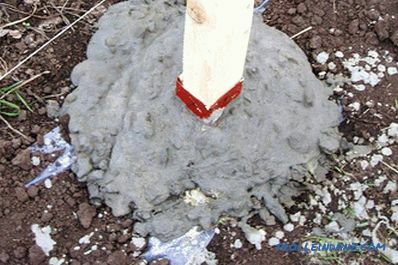 For example, gray-green will reduce the brightness of sunlight in the winter when the tree is devoid of leaves, and the sun after the winter solstice is low. Pure white would reflect the rays of the low winter sun too much. Ocean view rooms are always stunning. The white walls of the summer residence can strengthen the impression created by opening the house and bringing it closer to cool water. But in winter, in houses located on the coastline, the white color enhances the feeling of chills created by the inhospitable sea behind the windows. This is especially well felt in those areas where the climate has strong seasonal fluctuations in temperature. Some owners of houses located on the coast for the whole winter close the windows with heavy curtains to protect themselves and their loved ones from the gloom created by the winter ocean. 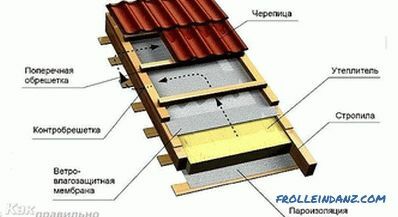 But white can still be a solution for a house located on the seashore, where, on the one hand, there is a breathtaking view from the window all year round, and on the other, the climate is extreme air temperature drops. Choose a creamy white that has a small amount of yellow-orange pigment (such as California Paints' DE6141 Salt Box). In summer, when tenants are more often outside, soft vanilla will create a cool evening when people return home from the beach to relax. If you decide to paint the walls in the house, from the windows of which a breathtaking view opens, in white, think about choosing the right shade. Having correctly selected the tone and eliminating the distinction between walls and wooden elements of decoration with white paint, you will allow the landscape to remain frameless, expand the presence of an amazing picture in your house. This strategy (painting both walls and finishing elements), used for sifting architecture that obstructs the view, can be used with any color, but it is most effective with white because of its reflectivity. Use white to expand the space. Due to the room light, the white lights appear larger. Shadows and edges are reduced in white space. When creating a palette for your home, try to keep in mind this white feature. But remember that spatial perception improves when rooms that are located consistently on the same floor have a subtle shift in hue, without sharp contrasts. For example, the use of white, the shade of which deepens as the rooms become larger, will help to visually reduce the variation in the size of rooms. Find the white you like on the color fan of the company whose products you prefer to use. In this color, you can paint the walls of the smallest room. Then use the next darker shade for a larger room. Use different in brightness and color saturation to increase or decrease the visual size of each room. Your guests will not notice a change, moving from room to room, but they will praise you for the calm and comfortable home that you have created. Add texture to whiteness to avoid a sterile look. There is no bathroom or kitchen that wouldn’t seem cleaner with white walls, countertops, cabinets or fixtures. We associate white with purity. This, by the way, can be used if you are preparing a house for sale and want to make the best impression on potential buyers. However, the white color has some drawbacks. 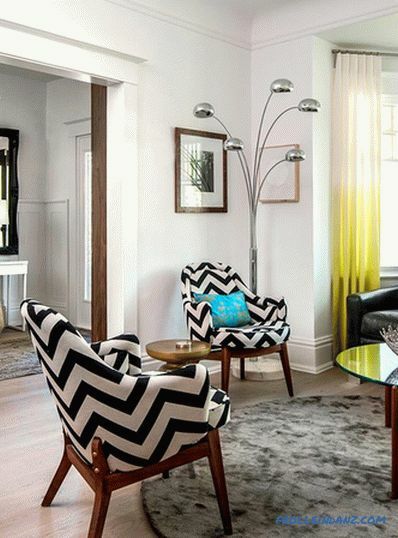 By limiting the color palette of a room to a single color, you can make it sterile and even boring. In this case, simply adding a textured surface to one of the walls will help to regain lost interest in space. If your room lacks individuality, consider the option of layering white color of similar shades - white, warm white, gray, warm gray, etc. Use different materials of the same white shades, but different patterns and textures to create a room that is deep and interesting.It works especially well in bedrooms. Textiles, headboard upholstery, window curtains and bedding can be harmoniously combined with each other and with the color of the walls, creating the effect of layering various shades of white in the interior. Have you ever wondered why in art galleries the walls are usually painted the same bright white color? This technique allows you to reject the architectural details of the room on the second plan, so that nothing prevents the visitors from focusing on the works displayed. 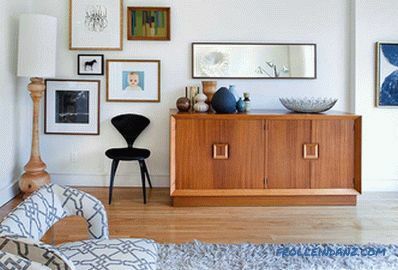 If you can’t imagine your house without paintings, sculptures or any other works of art that attract attention, consider placing them on a white wall, on a white mantelpiece or over your snow-white bed. Do not doubt that the attention of your guests will be riveted exactly to the artistic values ​​you have! But if your home does not have a wonderful collection of works of art or you don’t see a breathtaking window the appearance, the white color can be dead, or at least uncomfortable, because it will become the background for the usual domestic confusion and chaos. You must admit that not everyone wants to expose to the general display all the imperfections of their daily lives. That is why young families often prefer to put off the pure white color that they dream about for later, and instead choose khaki that endure and hide everything. Use white for modern or traditional cuisine. 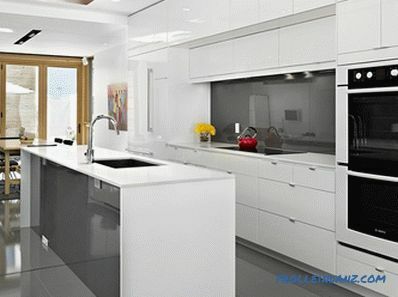 The beauty of white is multifaceted - from creamy white tones, well combined with traditional and classic wooden kitchen cabinets with marble countertops, to ultra-modern snow-white minimalistic kitchens Many homeowners love white in the kitchen, because the room due to this looks clean, and its style is as close to the classic as possible. The bathroom, whose color palette is limited to white, looks beautiful, but alas, a bit boring. Get rid of this feeling will help stunning color accent. A white bath, sink and floor will look striking against the background of any eye-catching color. 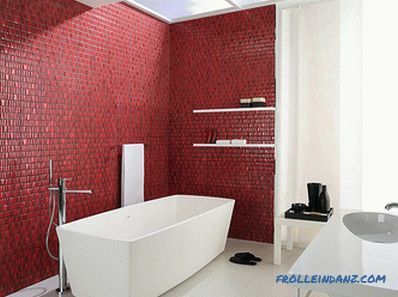 Red mosaic, emerald and blue tiles or even monochrome metal covering one of the walls will make any snow-white bathroom refined and refined! In most dressing rooms there are no windows. 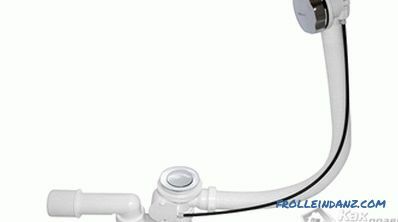 In addition, the idea of ​​the need to create them full lighting very often comes too late, after the completion of repairs. As a result, we have, to put it mildly, a poorly lit space where finding the right thing or finding a party outfit can be difficult. 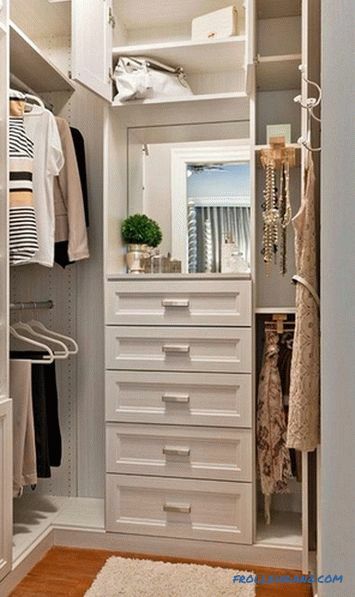 The appearance and functionality of the dressing room can be maximally improved by painting all surfaces with reflective white paint. To find out the reflective properties of your chosen white paint, carefully read the inscriptions on the can. The higher the LRV value (light reflectance), the more light will be reflected. 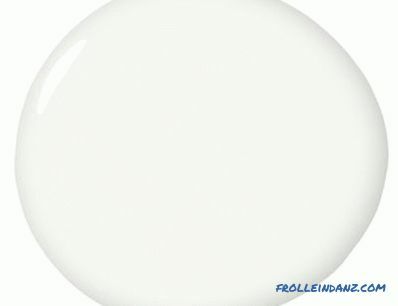 White emphasizes the other colors that it surrounds (which is why it is so often used in art galleries). This will allow you to understand the color combinations of items of clothing in which you plan to dress up. It is not necessary that the interior of the dressing room match the color of the walls in the bedroom. Paint it with white paint with a slight tint of the color of the bedroom walls. You may think that white furniture upholstery is more difficult to keep clean and it will quickly become dirty. There is, of course, some truth in this, so it’s worth considering which type of fabric is best for this room. For example, for a living room where there are quite a few people every day, it makes sense to choose artificial leather or artificial suede, as well as covers made of coarse cotton fabric. Similar options are ideal for homes with pets or small children. Do not discard the white color, instead choose the right type of fabric. You have noticed one of the latest trends in the world of interior design - the use of a neutral color (white, black, gray or brown ) in combination with classic metallic colors? White is increasingly appearing in home interiors in combination with stainless steel, brass, copper or gold, and this couple creates warmth and comfort. You can combine white with stainless steel appliances in the kitchen or with brass lamps in your living room.Reflectivity of metals and clarity of white - what could be more interesting? 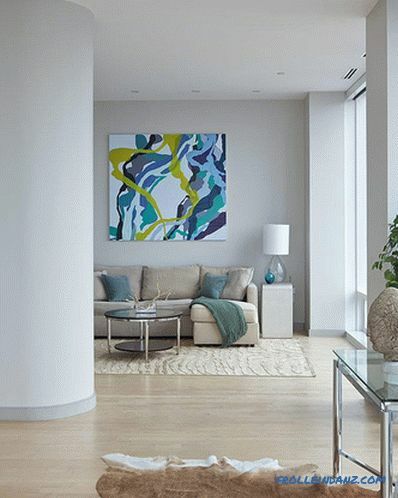 White creates canvas for you so you can to decorate your interior in different ways depending on the time of year. Whether you love autumn with its gorgeous yellow and red tones or you like bright colors and pastels of spring, the white background gives you the flexibility and versatility to change the interior according to your mood! Create a year-round home, welcoming all year round - you just need to change rugs, cushions, curtains, bedding. 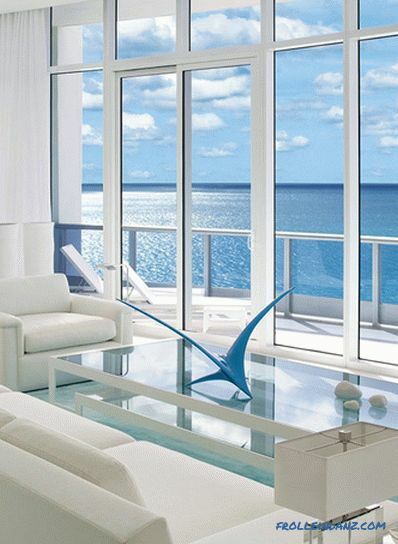 In summer, the white interior gives coolness and freshness and does not need seasonal colors. Use white to hide flaws. White can work as an eraser in your interior. If the house has some architectural flaws, white will help disguise them. And vice versa: in old houses, white color will accentuate the magnificent stucco, will highlight other man-made masterpieces of past masters. Transform your home with the help of white, and you will see how much your home has become more comfortable and more comfortable! Believe it or not, but there are hundreds of shades of white! Each color in the spectrum has a white version. White may have a faint hint of pink or yellow, green or purple. Look at kitchen cabinets and countertops, flooring, tiles in the bathroom, try to understand which color prevails in your interior, and with this in mind, choose the best shade of white. For each house there are several "perfect white". Want to make sure that the white color is versatile, and that it has a variety of shades? 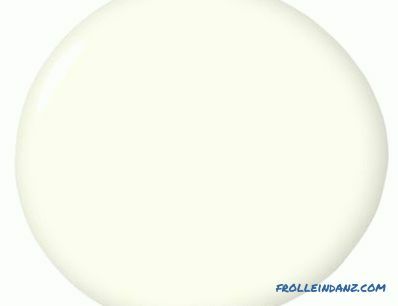 Then we bring to your attention a list of the top 20 white paints according to top interior designers. White color is simple and sophisticated. But to paint a room or several rooms in this calm peaceful color is the same as deciding to cut hair much shorter than usual. 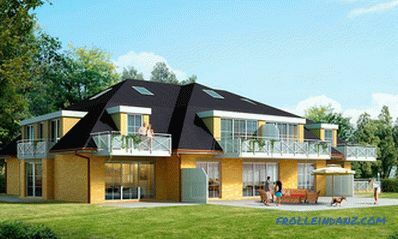 Be adventurous and do not give up on the design of the apartment in white. Take a confident step to a clean and luxurious new interior!